Lighted Branches - The DIY Decorator's Dream! Forget everything you thought you knew about lighted branches -- and if you're just now finding out about them, prepare to be delighted by what you discover next! Lighted branches aren't what they seem. Sure, they look like branches, and yes, they even light up. But up to this point lighted branches have been incredibly shy about their creative potential and, as a result, vastly underappreciated. Unlike branches in the wild, lighted branches don't conform to a ridgid design standard and they definitely don't want to look like all the other branches. Some lighted branches take pride in their simplicity, some stand on their own, and others can even bend and twist to form completely different shapes, becoming almost unrecognizable from their original branch form. Having realized their full potential and overcome their bashful nature, lighted branches are ready to step into the limelight - so without further delay, let's introduce you to the stars of this little-known lighting category! When you've seen lighted branches, they are probably a very simple design with one center branch and several smaller branches coming off of it. There is an elegance to this traditional lighted branch design that is perfect for adding illumination to a room without needing much extra attention. These lighted branches are usually between 2 and 3 feet in total length which makes them great for adding to vases or incorporating into existing silk floral arrangements. 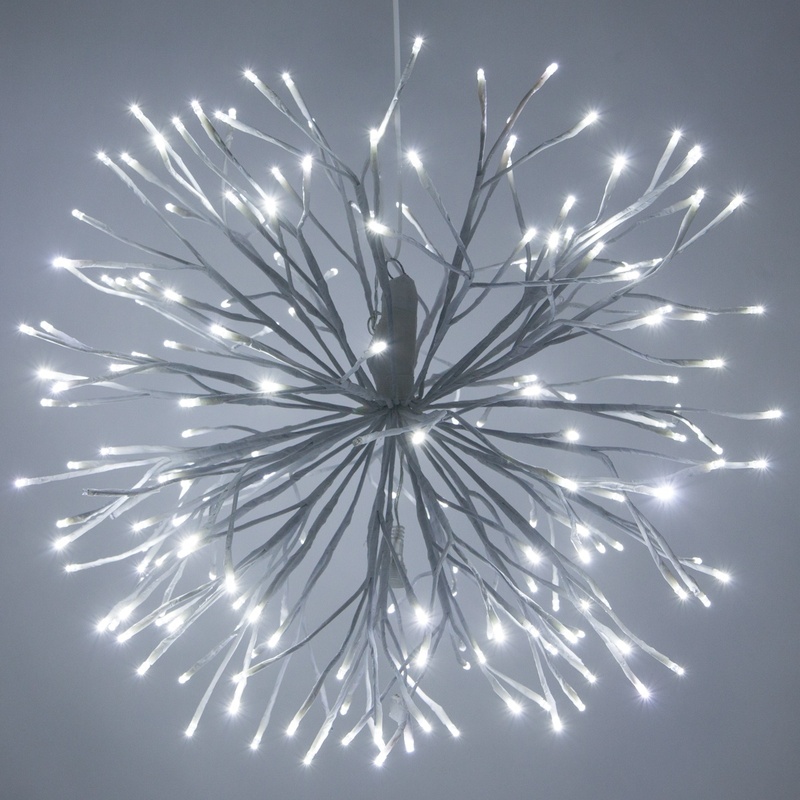 In addition to the traditional lighted branch design you have likely seen before, there are several specialty lighted branch designs you may not know about! Starburst Lighted Branches - These flexible, shapeable lighted branches are so unique and surprisingly versatile that we've devoted an entire section on how to use them in decorating and DIY products. If you can't wait to see our starburst decorating ideas, click here to jump down now! Starburst lighted branches are available with several branch length options and a large assortment of light colors including RGB LEDs which feature multiple preset color choices and combinations. Falling Lighted Branches - Long cascades of light shoot out from the top of the center stem of these lighted branches. The visual effect is akin to the gentle curves of a weeping willow or the arc of a glittering waterfall. Choose cascade lengths from 3 feet to over 6.5 feet and twinkle or steady LED Light options. Climbing Vines - The opposite of falling branches, climbing branches are designed with a center branch that has dozens of additional smaller branches shooting off of it on both sides. Climbing branches are 10 feet long with hundreds of LED lights throughout. These lighted branches command attention on their own but look incredible when embellished with additional decorative accents. Free Standing Lighted Branches - As the name describes, these lighted branches are able to stand upright on their own. Individual 5 foot tall branches are woven together and accented with bright LED lights to create an eye catching display. Free standing lighted branches double as a decorative accent piece while also adding ambient lighting to any room in your home. They are also perfect for brightening special occasions and illuminating event spaces. Create wall art with a climbing lighted branch. Use adhesive hooks and/or clips to secure a climbing vine branch to a wall or other flat surface. Climbing vine lighted branches are a unique way to frame an archway, window or other architectural accent. They also look amazing climbing up columns and are a gorgeous decoration for the fireplace mantel. Climbing vines look beautiful on their own, however if you want to add a pop of color to your design, you can intertwine the vine with a silk greenery garland and even hang lightweight ornaments from its many branches. Take your sconce lighting to a whole new level. Attach falling willow branches to an interior or exterior wall to create a cascading light sconce. This is an especially beautiful wedding or special event decoration idea. Turn a lighted branch into a DIY tree. This is a fun wall art idea and can even be used as a standing potted decoration. a. To make a DIY wall art tree: attach a lighted branch upright to a board or large frame, or directly onto a wall and then use your creative skills (or a stencil for those of us who are not artistically gifted) to draw or paint leaves coming off of the branches. You can also cut out and hang leaves from the branches for a less permanent display. b. To make a standing potted tree: stack floral foam sheets or cylinders inside of a planter as close to the top as possible and then stick the lighted branch stem into the foam, this will hold the branch upright. Cover the foam with artificial moss and then decorate the branches with leaf cutouts, ornaments or other hanging accents. Make a simple lighted floral arrangement. Place a small lighted branch into a vase or container and then add in a few silk floral accents. It's really that simple! If using a clear vase, fill it with decorative glass gems or any other filler material to hide the branch, floral stems and light cord. Wrap branch lights around a decorative wreath. Most lighted branches are flexible enough to wrap around a wreath and the end result is gorgeous! Just be sure to hide the stem by tucking it behind the wreath or inside of the greenery or leaves. Loving our Lighted Branch Decorating Ideas? Sign up for our email list to receive information on all the latest lighting styles, festive decorating ideas and even special discounts right to your inbox! Now, let's see what we can create with Starbursts! Starburst lighted branches are amazing. At first glance they look like a simple light design but they're hiding an incredible ability to morph into a variety of shapes. What's their secret? Flexibility! 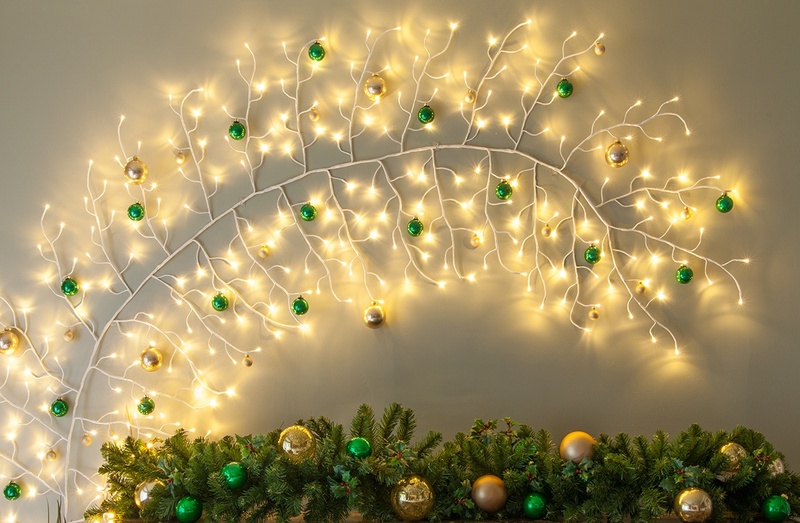 Starburst lighted branches are bendable, so you can twist and shape them to create a variety of designs that are elegant, fun, and functional. When we first started playing with starbursts, we weren't sure what the end result would be, but we knew they had a ton of creative possibilities. Below are a few of the ideas we came up with for decorating with starbursts, but they definitely aren't the only ways you can use these versatile lighted branches. All you need is your imagination and a bit of creative ingenuity to create something amazing with starbursts! One of the easiest ways to shape a starburst is to pull each of the lighted branches up and out to form a round ball shape. Then simply hang your light balls to create ambient lighting in any room or above an event or party. You can also use smaller starbursts or sets of 3 starbursts to decorate your Christmas tree. Starbursts come out of the package in a bundle. From out of the package, just spread out the lighted branches a little and stick them into your Christmas tree as a unique decorative accent. Be mindful that your starburst light color does not clash with your Christmas tree lights. If your tree has warm white LED lights or incandescent lights, choose a warm white LED starburst to match your tree lights. If your tree is has multicolor lights, any of the solid color, RGB, or cool white LED lighted branches will work great! 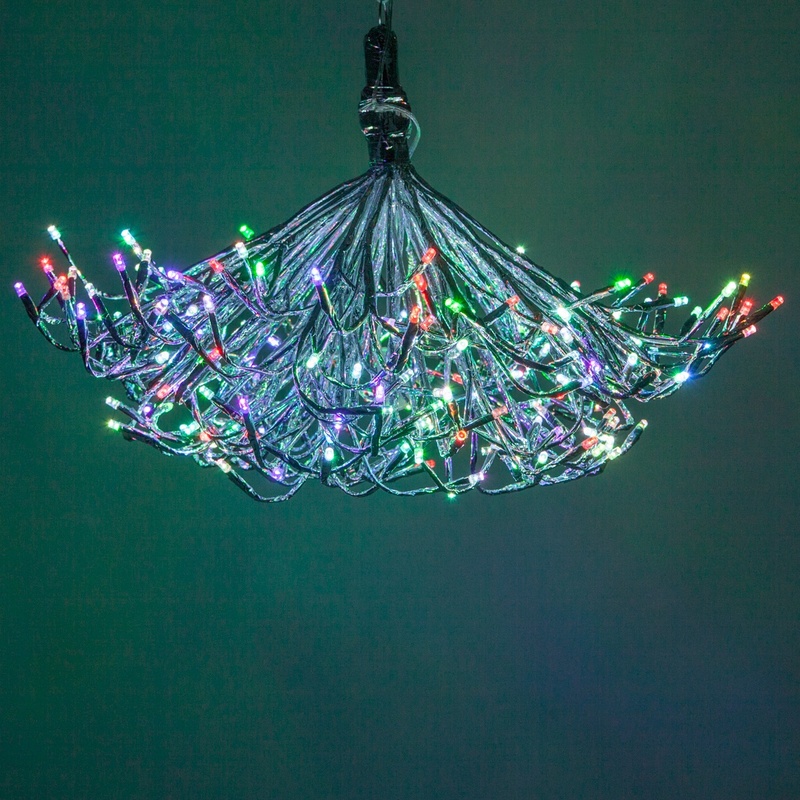 Creating a starburst lighted branch chandelier is incredibly easy! We've placed the steps to create the chandelier base below. The starburst chandelier is a beautiful accent light on its own, however you can also hang items from its branches to create a stunning decoration for your home, special events and parties. Pull the lighted branches up and outward so that they form a flat disc, leaving just 4 or 5 branches pointing straight down from the middle. The stem should be at the top as you will need it to hang your chandelier. Bend the ends of the middle 4 or 5 branches to create U shapes. Continue pulling down a few branches at a time and bending each end upward to create a U shape. The middle branches should point straight down and the others should be angled outward gradually toward the top where the remaining branches are still flat. When finished your chandelier should look similar to the first picture below. You could stop here or add decorations to your chandelier. Some of our favorite decorative accents to hang on our lighted branch chandelier are ribbons, floral stems, decorative clips and ornaments. This lighted branch decoration is incredibly simple to make. You'll need a vase or container of your choice, vase filler if your container is see through, silk floral stems, decorative picks and sprays. You may want to have your starburst with you when picking out a vase or container to make sure it has a wide enough opening and can support the weight of the lighted branches. Once you have all of your supplies, follow the steps below to create your floral arrangement! Place your starburst stem down into the vase, and make sure the light cord is coming out of the vase at the back. Add extra filler to the top of the vase if needed. Place your floral stems in between the lighted branches to fill in the gaps. You can also bend the ends of the branches into curves to hang ornaments from them. 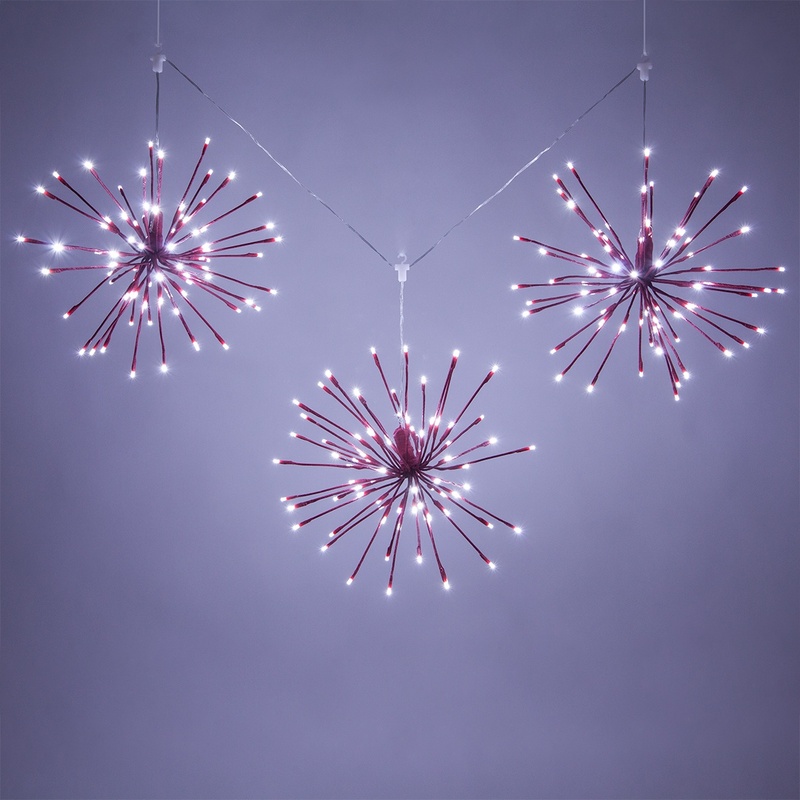 Plug in and enjoy your starburst lighted branch floral arrangement! We used the 3pc green LED starburst lighted branches to create these spooky decorations. The 3pc branches are connected together, so you can create three identical shapes or make each one different. Our Halloween lighted branch decorations include a glowing spider, an enchanted eyeball bowl and spooky trees! For this DIY lighted branch project, you'll need a 9-12 inch tinsel spider or other spider decoration. Bend each branch into a long Z shape to form "legs". The "foot" of each leg should touch the ground and be even with the other legs. Turn on your starburst spider and place it with other spooky decorations to create a creepy crawly scene! For our eyeball bowl we used a stretchy spider web, plastic eyeballs and plastic spiders. With the stem facing up, pull 8 of the branches down toward the center, opposite of the stem. Arrange these 8 branches evenly in a circle and then bend the ends to form an L shape. Make sure that each end is even so that they rest flat on the ground. Bend the remaining branches out and up. The stem should be in the center with the lighted branches forming curved L shapes around it. When your bowl shape is complete, stretch the spider web material around it and then fill the bowl with eyeballs, spiders or any other spooky decorations you like! You'll need small 6 x 5 inch planters, floral foam cylinders, ribbon, and moss, stones or glass gems for this DIY lighted branch project. Stick the unwrapped portion of the straight branches into the floral foam until you reach the stem. The stem should not go into the floral foam. We hope you have fun using your imagination to create amazing decorations with starbursts and other lighted branches. 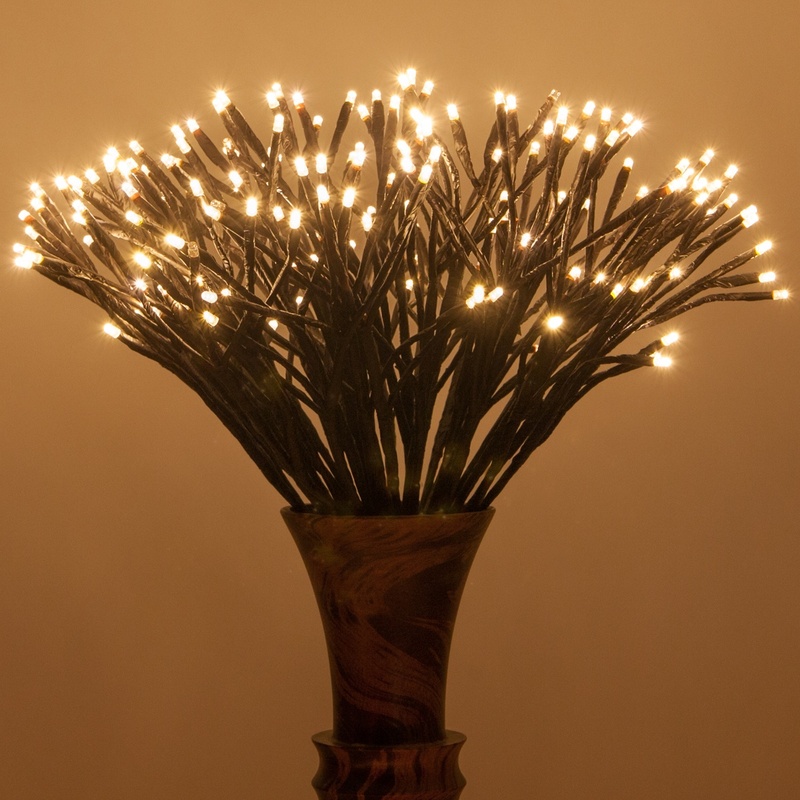 If you decorate with lighted branches, we would love to see what you make! Share your photos with us on Facebook and let us know how your project is going in the comments section below!